Here is my Valentine's Day message for you! - CREATIVE CONFLICTS! You are here: Home / Self-Esteem / Here is my Valentine’s Day message for you! Everybody wants to have a happy Valentine's Day receiving love and appreciation from their loved ones, today. If you happen to have some marital difficulties, this seemingly simple aspiration seems to become an impossible wish. So, you can believe that you are stuck in loneliness, and hopeless, right? Well, no, not in the least...you have still left inside you a powerful center of energy, which is NOT dependent on other people's appreciation of you. From this center, you can be a love magnet and fulfill your wish to have more loving relationships. Why not to make of this day a whole decision to make of yourself a love magnet? First, it is absolutely necessary that you learn to love and appreciate yourself! You have to believe that you are worthy and deserving of love and respect! 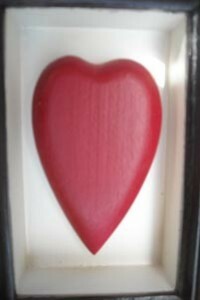 Here is your "Emergency Valentine's Plan:"
STEP ONE: reinforce your self-love, using a tapping exercise. It is very easy to do, you have to copy Brad Yates' gestures along his video at bottom. STEP TWO: Before the day is over, you need to do a serious, important gesture of appreciation to yourself. Cooking? what kind of pastry did she loved to do or eat? Toys? Clothing? Favorite color? Go find a piece of what made her happy.....and use it TODAY. What about the feeling of being physically held? well, if you dare, get a body/back rub or massage and then can feel how your whole body is appreciating the gentle stimulation that human contact can do...even a pedicure with massage of your legs can give you this feeling of being held. Yes, I know...at this point, you can have a lot of resistant thoughts..."Why should I do all this for myself, when I'm married"? We both know the answer, right? if you don't love yourself, and continue to expect to first be loved by others to really appreciate and love yourself, you will never feel happy. Stop waiting for others to show love to you; and begin doing loving things for yourself now, TODAY! Go get that child inside you happy, buy her a red balloon, some flowers, a toy, a new lipstick, a very sweet perfume, or some great music to dance by yourself in your living room...while you keep saying on and on in your brain: I'm worthy and deserving of love and respect!"